Win A Blog Design Makeover From IZEA and UBD! In September, my biz partners and I spent three weekends of the month at blog and Internet conferences. 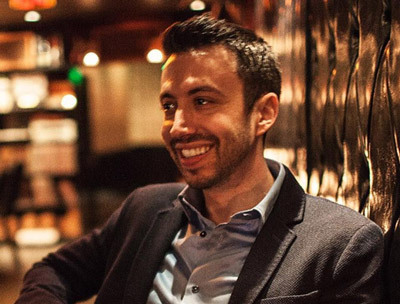 One of the conferences we attended was IZEA Fest in Orlando, Florida, where my biz partner, Matt Blancarte, gave a speech on blog design for the Blog Design Makeover panel. Needless to say, IZEA Fest and the Blog Design Makeover panel were incredibly successful for both UBD and IZEA. Matt and the other panelists did an excellent job at discussing the blog designs they made over. You can watch the full video presentation here. At the recent Blog World Expo in Las Vegas, Ted Murphy, CEO of IZEA, mentioned the idea of doing a monthly promotion to for bloggers to win a free blog design makeover. Of course, we thought it was a great izea, I mean idea! 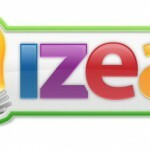 We are huge IZEA fans and we are proud to partner with them for this opportunity. Even cooler, the first Blog Design Makeover promotion is now launching. Thanks to IZEA for their promotion and support! Yay! I’m very excited. This is a great izea, oops, I mean idea. Lol! Great idea and very timely too! I’m way past due for a blog redesign. I’m definitely entering this contest. I hope I win because I really need a new design for my blog. My visitors would really be pleased if I had a new template instead of the free template I’m using right now which a lot of other websites in my niche use. I love Izea very much. The design of the logo is very nice! Sounds like an awesome contest. Izea Fest is a cool conference. Great contest and useful too! IZEA is the great conference, and nice chance to win a free blog design. Why oh why do I always miss out on competitions like this! It’ll be Christmas come early for whoever wins this. I been seeing the Izea designs around and they are really awesome. Izea and UBD there cannot be a better combination. @Ted Murphy: that is a good job with the logo. I love the colors and how bright and clear the logo is. Nice Post, I am great in Table Less Web Designing Structure making. Now will start to design blogs too. Thanks for information, of such a nice opportunity. Just to let you know, I’m getting an error on IE7 when I try and load your blog, it just doesn’t work. So, what has been happening on this front? There has been no further announcements! Great idea and good tool! Previous Previous post: Blog World Expo ’08 – What A Blast! Next Next post: The Internet Wins.